Each year Forbes releases their list of the 400 richest Americans. It is no surprise that the 2002 list was topped by Microsoft founder, Bill Gates, whose personal wealth as of September 2002 was estimated at $43 billion dollars. In second place was investment guru Warren Buffet, founder of Berkshire Hathaway, whose wealth was estimated at $36 billion. The top ten list of richest Americans includes two other individuals who have amassed their wealth from the fortunes of Microsoft (Paul Allen and Steve Ballmer), as well as being amazing five members of the Walton family, whose wealth derives from their inheritance from Wal-Mart founder, Samuel Walton who died in 1992. Locally ten residents of the Greater Philadelphia/South Jersey area were included in the 2002 list. However, since the list was released in September 2002, the richest local resident has died. The Hon. Walter H. Annenberg, philanthropist, patron of the arts, and former ambassador died of pneumonia at his home in Wynnewood, PA on October 1, 2002, at the age of 94. Annenberg's wealth was estimated at $4 billion at the time of his death. He was ranked 39th on the Forbes list of richest Americans. Let's take a brief look at the remaining nine local residents who were included in Forbes' 2002 list of the 400 richest Americans. Granddaughter of Dr. John T. Dorrance, who developed the process for condensing soup. Dorrance purchased the Campbell Soup Company from his uncle 1914. Upon his death, he left half of his fortune to his son John, Jr., and the remainder to his 3 daughters. John, Jr. died 1989, and his children inherited his share. The family still holds approximately half of outstanding shares of Campbell stock. On her own, Mary Alice Dorrance Malone is a horse breeder. Lenfest is a graduate of Columbia School of Law. As managing director of Triangle Publications, he became interested in the burgeoning cable TV industry. In 1974 he founded Philadelphia-area Suburban Cable. He sold the company to Comcast in 2000, His interests currently are focused on philanthropy. Honickman made his fortune in the soft drink bottling industry. In 1947 his father persuaded Pepsi into giving Harold the bottling/distribution rights for Pepsi in southern New Jersey. In 1957 his wealthy father-in-law built him a state-of-the-art bottling plant. Since that time Honickman has acquired Canada Dry bottling operations in New York and suburban Philadelphia as well as bottling rights to Coors in New York and Snapple in Baltimore, Rhode Island, and suburban Philadelphia. The Honickman Organization now has over $1 billion in annual revenue and is one of the biggest independent soft drink bottlers in the United States. West is a graduate of the University of Pennsylvania Wharton School with a Masters of Business Administration. While working as a teaching fellow at Penn in 1968, West conceived the idea for Simulated Environments (SEI), which would provide for the automation of banks' back-office operations. He later founded SEI Investments, a global asset management company dedicated to helping institutions and individuals more effectively manage their investable assets. He remains chairman and chief executive officer. SEI now manages $77 billion in assets and processes $50 trillion in transactions annually. In addition to his business responsibilities, Mr. West is an active member of the Graduate Executive Board of Wharton; the Chairman of the Board of the SEI Center for Advanced Studies in Management at Wharton; past Chairman of the National Advisory Board of Georgia Institute of Technology; a member of the Georgia Tech Foundation Board; a member of the Chairman's Advisory Committee and the Executive Committee of the World Affairs Council of Philadelphia; and chairman of the board of the Washington-based American Business Conference. Kim received a Masters Degree in Economics from the University of Pennsylvania. In 1968 he left a teaching position at Villanova University to assist in the sales operation for his father's struggling electronics company, Anam Electronics. He founded Amkor Technology to act as Anam's U.S. sales agent. Times were difficult in the mid 1970's and Kim's wife, Agnes, also went into business selling transistor radios and calculators from a kiosk in the King of Prussia Mall. The family's fortunes have improved greatly since the 1970's. James's company Amkor has grown into the world's leading independent fabricator of chips and ICs. They provide components for such companies as Texas Instruments, Motorola, Philips and Toshiba. When Kim's father retired in 1990 James assumed the helm of his father's company as chairman of the Anam group in Seoul while retaining his chairmanship of Amkor Technology in West Chester, Pennsylvania. Agnes' business developed into retailer Electronics Boutique. Electronics Boutique Holdings Corp is today an international chain of consumer electronics stores with over 800 stores throughout the United States, Canada, Puerto Rico, Ireland and Australia. Dorrance Hill Hamilton is another granddaughter of Dr. John T. Dorrance, who developed the process for condensing soup. Dorrance purchased the Campbell Soup Company from his uncle 1914. Upon his death, he left half of his fortune to his son John, Jr., and the remainder to his 3 daughters. John, Jr. died 1989, and his children inherited his share. The family still holds approximately half of outstanding shares of Campbell stock. Roberts is a graduate of the University of Pennsylvania's Wharton School with a Masters of Business Administration. 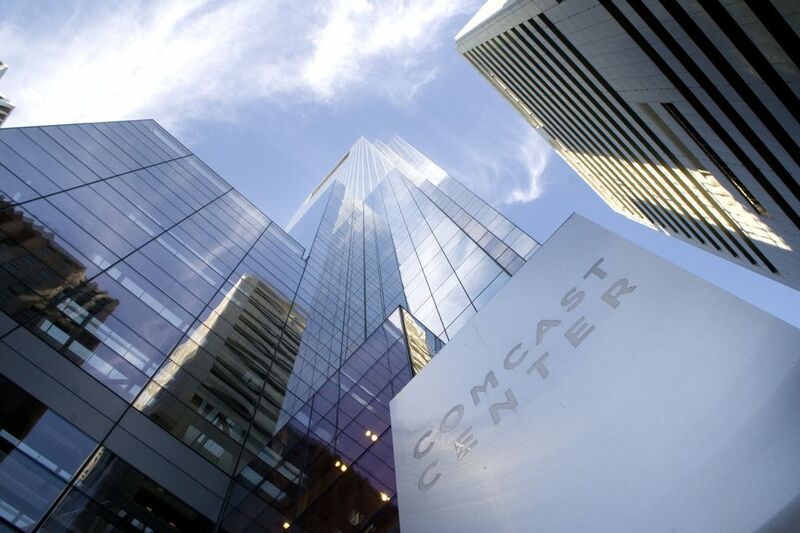 His father, Ralph J. Roberts, founded Comcast, the world's largest cable provider. Brian started with Comcast selling cable TV door-to-door. Brian assumed the presidency in 1990. Under Brian Roberts, Comcast purchased a controlling interest in QVC in 1995 and formed Comcast-Spectacor in 1996 owning and operating the NHL Philadelphia Flyers, NBA Philadelphia 76ers, First Union Spectrum, and First Union Center. Comcast-Spectacor owns and operates the NHL Philadelphia Flyers, NBA Philadelphia 76ers, as well as the First Union Spectrum and First Union Center. In 1997 Comcast obtained a 40% controlling interest in E! Entertainment Television. In 2001 Comcast obtained controlling interest in the Golf Channel and announced a $72 billion acquisition of AT&T's Broadband Division. The merger makes Comcast the world's largest provider of broadband video, voice and data services with annual revenue of $19 billion. Neubauer is a University of Chicago graduate with a Masters of Business Administration. His parents fled Nazi Germany in 1938 to start over in Israel where Joseph was born three years later. At the age of 14, Neubauer's parents sent him to America where they felt he had a better chance for a good education and career. At age 27, he was named vice president of Chase Manhattan Bank. He later moved to PepsiCo where he became the youngest treasurer of a Fortune 500 company. He joined ARA in 1978 as CFO and led a $1.2 billion leveraged buyout 1984. The company was renamed Aramark. Aramark operates food concessions, child care, health care services, and other diversified businesses. It has $7.8 billion in annual sales. Aramark was taken public in 2001. Neubauer remains Chairman and CEO. This Trinity College Connecticut graduate is a grandson of Dr. John T. Dorrance, who developed the process for condensing soup. Dorrance purchased the Campbell Soup Company from his uncle 1914. Upon his death, he left half of his fortune to his son John, Jr., and the remainder to his 3 daughters. John, Jr. died 1989, and his children inherited his share. The family still holds approximately half of outstanding shares of Campbell stock. Strawbridge is the country’s leading owner and a leading breeder of steeplechase horses. Who Are the 6 Wealthiest People in Minnesota?